There are only three things that your celebrant must include in your wedding ceremony – your full legal names, your acceptance of each other in marriage, and the signing of the marriage documents. Everything else is fair game!! BREAK THE RULES: Spending time together in the morning can help ease your nerves for your wedding ceremony. Breaking this rule also allows you to share the intensely emotional “first look” moment more privately – although your photographer can still capture it if you wish. In fact, you can even have your whole couples photo shoot before your wedding ceremony so that you have more time to spend with your guests afterwards. OUR QUEENSTOWN WEDDING: I begged my husband to have our couples photo session before the ceremony, but he insisted that he wanted to see me for the first time walking down the aisle. It was a magical moment, but can you guess what his biggest wedding day regret is? Yup, not making more time to spend with our photographer, in the morning! BREAK THE RULES: Where whatever you feel comfortable in. I’ve married brides in blue, pink and even a fabulous black jumpsuit, and they are no less “married” than anyone else. Even opting for a shade of silver, tea-length cut dress, or a splash of colour in your shoes or accessories can be a welcome break from the norm. And on this note, you can totally flag the veil if you’re not feeling it! OUR QUEENSTOWN WEDDING: I debated about wearing a veil for ages, and in the end went with one as I thought “well when else am I gonna wear one”, right? Well, I shouldn’t have bothered as it very nearly got me killed on our wedding day! We were taking photos at Skippers Canyon and the wind took off with my veil. I instinctively reached out to grab it and found myself teetering over the very edge of a great big cliff. Not. Worth. It. BREAKING THE RULES: Save time, money and stress by having a small bridal party or not having one at all. You can honour special people in other ways such as inviting them to be your wedding witnesses or asking your celebrant to mention them in your ceremony. If you do go for a bridal party feel free to mix boys and girls on either side (think “mate of honour” or “best woman”) and there should be no expectation that you have to foot the bill for them from head to toe. OUR QUEENSTOWN WEDDING: All up, my husband’s two groomsman cost more to dress for our wedding day than my two bridesmaids did! BREAKING THE RULES: Do you really want to start your wedding day by dividing your guests down the middle, bride versus groom style? Consider letting everyone find their own seat wherever they please – just maybe save a seat for mum and dad! And while we’re talking about seating, don’t worry too much about a dinner seating plan either to create a more relaxed feel. 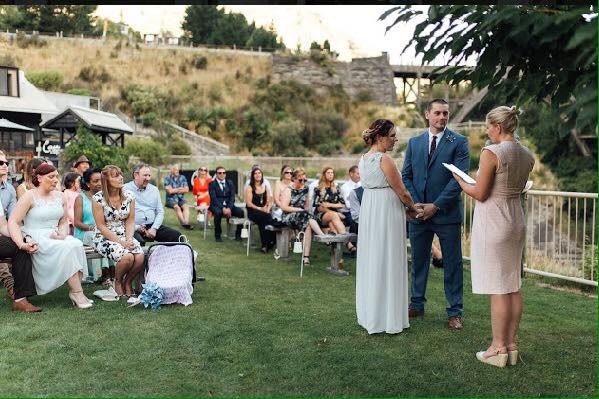 OUR QUEENSTOWN WEDDING: We asked our MC to make sure our parents and siblings had a front row seat and left everyone else to take whatever seat they wanted on whatever side of the aisle they wanted. This set the tone perfectly for the relaxed and laid back vibe that we wanted for our whole wedding day. BREAKING THE RULES: OK, does ANYONE want to promise to OBEY their partner? I think not. Your wedding vows can be sentimental but still reflect your sense of humour and personality. Consider writing your own wedding vows or researching some alternatives online. 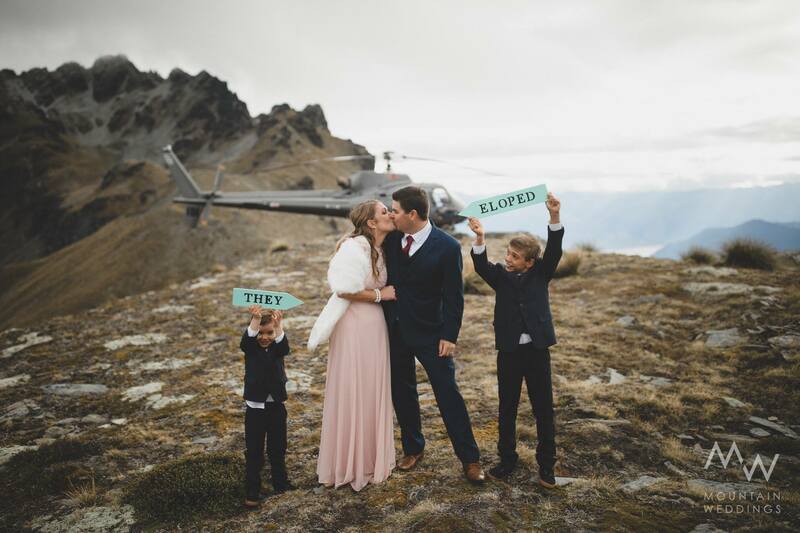 See 10 Steps to Writing Wedding Vows That Will Amaze Your Partner and 3 Modern Versions of Classic Wedding Vows for Your Own Queenstown Wedding for inspiration. OUR QUEENSTOWN WEDDING: My husband and I wrote our wedding vows together, but they turned out completely different. Mine were a mix of sentimental and practical promises whilst his were a sweet, funny Dr Seuss style poem. 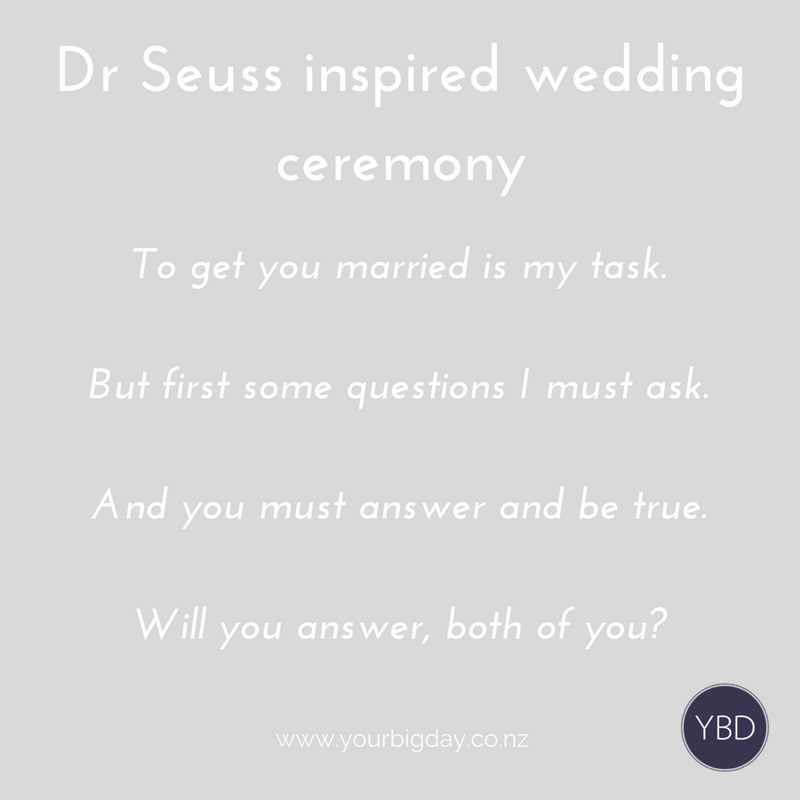 My husband’s vows inspired me to write a whole mini-wedding ceremony inspired by Dr Seuss.